Let’s return to sing the poetry of a man who’s far better known in Great Britain than in the United States, Edward Thomas. Thomas had a remarkably short run as a poet, only writing verse for about two years after befriending and sharing thoughts about writing and the observation of the countryside with Robert Frost during the latter’s stay in England just before WWI. Thomas was no longer young when he started writing poetry, and he had scratched out a living as a freelance writer for several years before he met Frost. 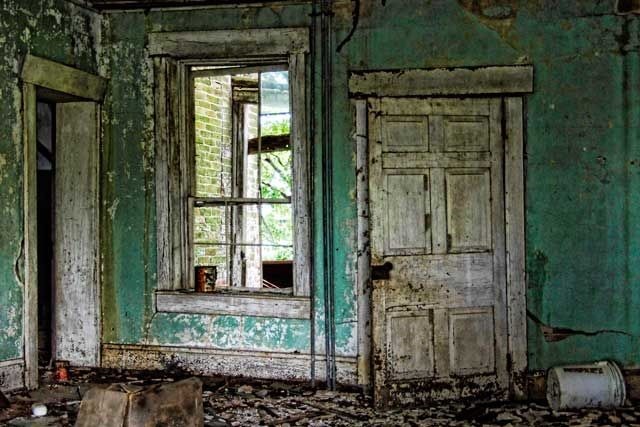 None-the-less, two years is a very short time to develop as a poet, and today’s piece “Gone, Gone Again” may show some rougher places commensurate with a poet who hasn’t fully developed his game. As I worked with “Gone, Gone Again” as an audio piece with music, some of its odd poetic faults continued to jab at me, but as is sometimes the case with the Parlando Project, I grew to appreciate the poem and Thomas’ unique read on time and life more fully from the effort spent with it. The poem’s meter is awkward and uneven, the rhyme unpredictable. A casual reader could hear it as doggerel. As the poem reaches its conclusion, with the only perfectly rhymed quatrain in the piece, the sentence seems twisted in order to make the rhymes. How much of this is intended and how much of this is a beginner struggling with the verse? Who can say. From working with it, I think the rhyme scheme that refuses to be—well, a scheme—is likely intended. It does keep you off balance, but I think it’s effective. The meter with its odd steps, is likely just as intentional, though I’m still not sure it works as well for the performer or listener. Even in the performance you’ll hear today I didn’t reproduce Thomas’ text correctly, rounding off a few of the rough spots, and revising the last line of the fifth verse. Another musician who has worked with a great many poems, including a number by Thomas, gracefully manages to sing this poem unaltered, though I’m now somewhat attached to my “mistaken” changed line. Thomas wrote “Grass growing instead” which would be consistent with a house abandoned an unknown time ago, but I sang “Grass growing inside,” which while a strong image determines it for long ago. And then he adds: “Save I saw them go.” Already, the poem starts its turn into a poem about survivor’s guilt. The Blenheim orange is instead an English apple variety. Blenheim orange is a flavorful name though. It’s even an alternate title under which the poem is sometimes published. Assuming intention, Thomas may have chosen it not just because the apple is named the same as an imposing palace in Oxfordshire, but because the palace, and presumably the name of the apple as well, comes from a battle that was already 200 years ago when Thomas wrote his poem, a key engagement in the European War of Spanish Succession. This may be too subtle by half, a College Bowl or Jeopardy-level question about history that almost everyone in the audience will miss. Here’s where the play with time part returns. The poem next visits an abandoned house site, a trope that Thomas’ friend Robert Frost would go to more than once in his own rural poems. How long as this house been abandoned? Since the war of Spanish Succession? Since the outbreak of WWI (which might be the cause that river barge traffic is absent and those apples falling unpicked)? Thomas’ conclusion is stoic, fatalistic. The final verse’s schoolboys are a rich image, at once nihilistic vandals and the reduction of reason and textbook learning to emptiness. In Thomas’ time, WWI has broken the world, and he eventually decides that the call of duty, however irrational, is the only way to take part in the mending and solace of tradition. I talk-sing this for the most part, but it’s a fairly full orchestration that I mixed in the background of the acoustic guitar/folk music song I wrote for this. The strings are quiet, but I let an oboe, trumpets and a fluegelhorn come a bit forward at times. The virtual instrument versions of brass instruments don’t sound as authentic as strings and keyboard virtual instruments do, but I wanted a bit of that flavor in there anyway. To listen to “Gone, Gone Again (The Blenheim Oranges)” use the player below. I listened to a number of your settings after finding the “Gone, Gone Again” one, and I admire your work. It seems we’re taken by similar idea, that poetry can gain something by being sung/performed. For me, at the least, I find that I begin to understand a poem differently when I do the work of performing it. As you might find, I don’t sing many of my presentations, my voice is too pitchey which tends to irritate the listener. In contrast I find your voice quite pleasant, in timbre (and possibly accent?) reminding me of Kevin Ayers. I assume you’re playing the nylon string guitar parts too. Even though I started on nylon string back many years ago, I don’t play one often these days, but I like the sound. I also note that you mix things up a bit with different and mashed-up styles. I’ve sometimes thought of performing a Walter de la Mare piece, but I haven’t got around to it yet. I just listened to your recent one: https://www.youtube.com/watch?v=Nt69iTsTi0o and it’s quite good. Oh thanks for listening to more of my stuff. I also don’t think I have much of a voice, and my tone, like Kevin Ayers who has always been an influence on me, is quite deep. Having played folk guitars and electrics for years I only ever use a Spanish guitar now. It has a much more expressive tone for me. I have learned a huge amount from working with these poets, and its great that the words tend to just linger in your head long after you have moved on to something else. I live close to where Edward Thomas was based and am also a keen rambler so often I feel I am walking in his footsteps along the green lanes there. I also work with some other war poets like Wilfred Owen, but its all quite depressing stuff.I do like the way ET understates the horror of it, and I think In Memoriam Easter 1918 is possibly the finest war poem of all time. I am off to spend the winter in Malaysia in a couple of weeks so might not be able to do any recording there. But it will be a chance to set up a blog and do some other writing, both prose and poetry.